The University of Maine at Presque Isle’s Student Organization of Social Workers is tackling the issue of hunger and food insecurity in a very tangible way this month by hosting a local “pack out” event, and the organization is encouraging the community to join them in the effort. Campus and community members, and members of student organizations, youth groups and faith-based organizations are invited to join in for SOSW’s “Pack Out to End Hunger” event on Friday, Oct. 14, from 2 to 4 p.m. in the Campus Center’s Multi-Purpose Room. Shirley Rush, adviser for the Student Organization of Social Workers, explained that hunger and food insecurity continue to plague citizens in Maine. According to the United States Department of Agriculture’s Economic Research Service (USDA), Maine ranks 9th in the nation and 1st in New England for food insecurity. One in four children in Maine are food insecure. The USDA defines food insecurity as the condition of limited or uncertain access to adequate food. Last year, the UMPI delegation submitted an application for a small grant to Hunger Dialogue organizers to complete a hunger-alleviation project. 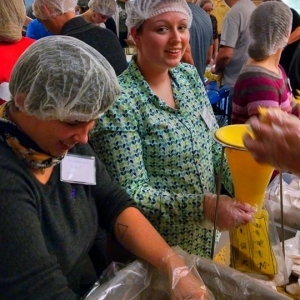 Their hope?—to do a food pack out of their own in Aroostook County. 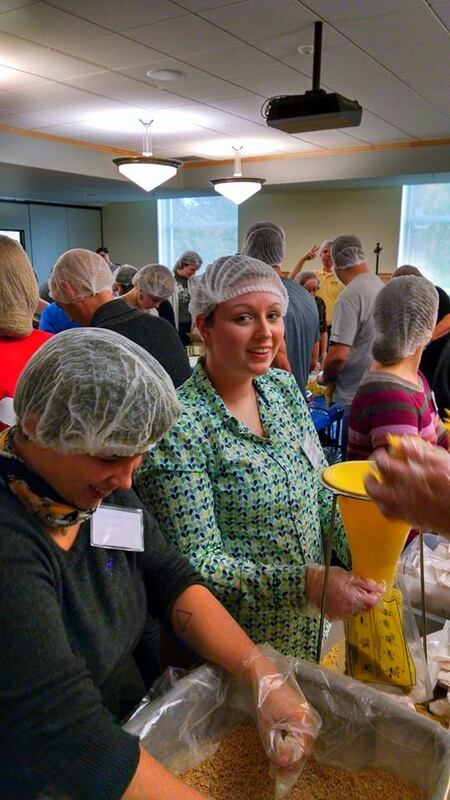 With the grant funding supplemented by SOSW club funds, they were able to purchase enough food and supplies to be able to pack out 10,000 meals. Rush said the group is hoping to have at least 60 volunteers help them out with their pack out on Oct. 14. They plan to take the boxes of meals they pack and distribute them to groups like Catholic Charities and Friends Helping Friends in the region. For more information and to register as a volunteer, please contact Rush by email at shirley.rush@maine.edu. Volunteer shifts are available Thursday afternoon and Friday afternoon. For more information, about The Outreach Program, visit its website at http://outreachprogram.org.